Today I was supposed to post my master Bedroom reveal for my spring cleaning challenge. Well unfortunately this week has been much busier than I was expecting. So not as much as I was hoping for got done. Also we haven’t had the chance to get the things I was hoping to get from the store to do some projects. The hope is that tomorrow morning we will get a chance to go to Home Depot to get some things and then this weekend I can do some projects and some more cleaning. There was no point in posting a reveal with so little accomplished so expect to hopefully see it later this weekend or next week. One thing I have been able to do this week is do a lot of searching online, especially on Pinterest to find creative ideas for the bedroom. Also some great closet organization and making my closet look nice. I thought I would share some of the really great things that I found and am giving a try. That way if you are planning a bedroom remodel or update you can have some of these ideas for your room. 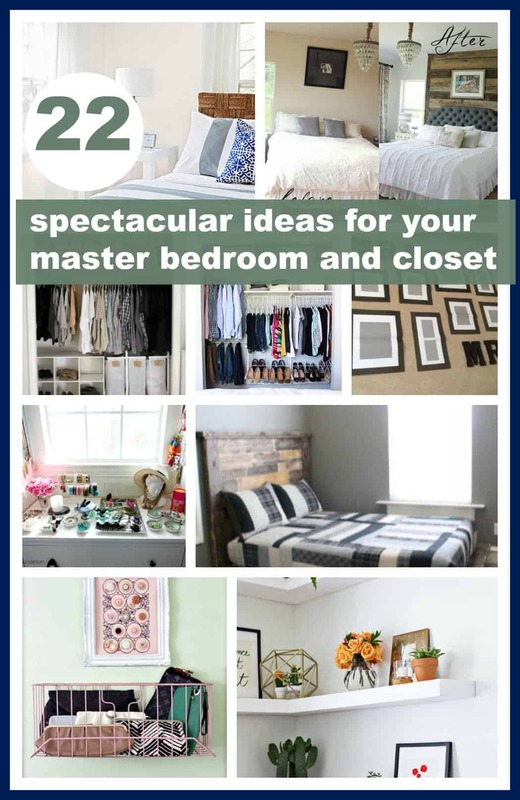 Great ideas for organizing a small bedroom. 2. Get some tips for an organized closet. 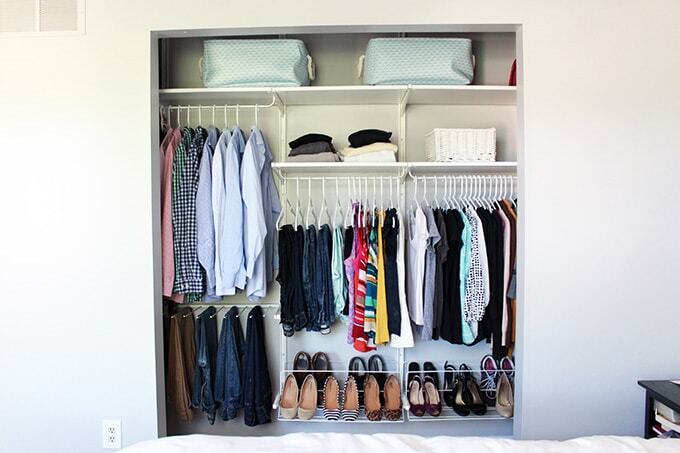 Since an organized closet can make a big difference to the tidiness of the bedroom. 3.Twelve bedroom storage ideas to help you get more space. 4. Great plans for organizing a small closet. 5. Some really clever closet organizing hacks to give a try. 6. Here is some advice for decluttering your bedroom. Something I’m always working on. 7. 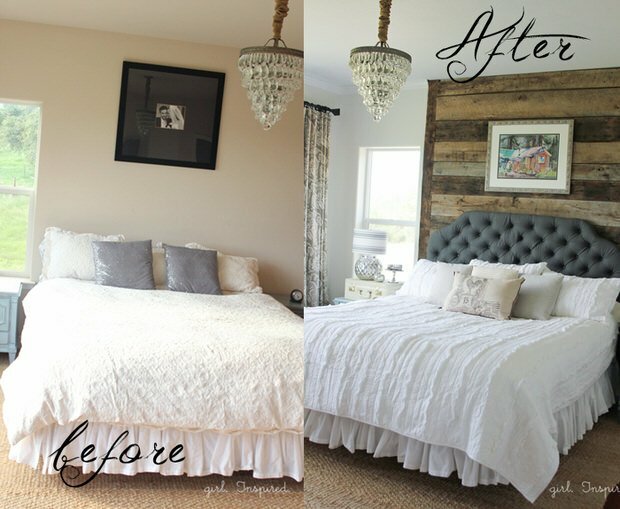 Here is a Master Bedroom makeover done pretty budget friendly. 8. Bedroom Organization ideas to help you make the most of a small space. Some really great tips to try out. 9. Check out some cheap ideas to decorate the bedroom. 10. Here are 8 ways to help you make your bedroom look expensive. Without spending a lot of money to do so. 11. Get more bedroom storage by building your own bedroom storage towers. 12. Some really cute wire basket storage to try. 13. How to make a storage bench for extra storage for your bedroom. Such a great idea for having more storage in your bedroom. 14. Here are some DIY Floating Shelves. I would love to replace the shelves in my room with these because they are so nice. 15. Some really great ideas for how to organize accessories. They look so beautiful the way they are put together. 16. Here are nine ways for you to refresh your bedroom. Sometimes rooms just need a little bit of refreshing. 17. Lots and lots of DIY Headboard ideas. I really want to make one for my room and here are a bunch of choices to consider. 18. Some really spectacular master bedroom makeovers. To give you tons of inspiration. The site calls them drool worthy and they are. 19. Some inexpensive headboards you can purchase. If you feel unable to make your own. I’m going to try DIYing it but these are great options. 20.Let’s learn how to style a nightstand. Get some tips on how to make yours look better. 21. How to put together a gallery wall for your master bedroom or anywhere in your home. 22. 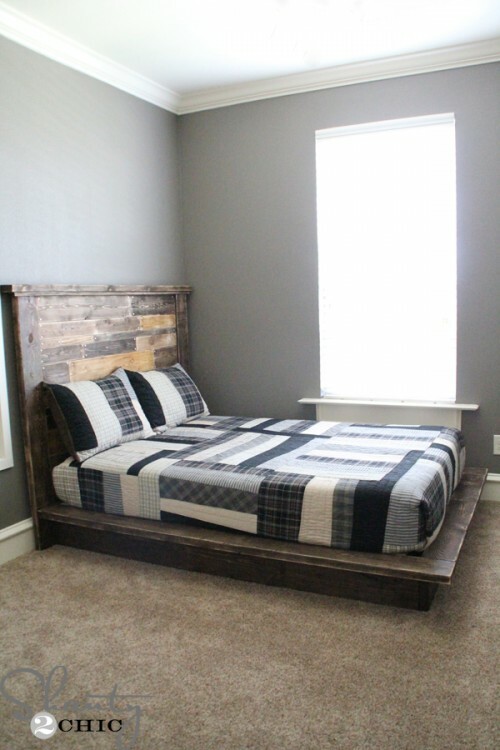 How you can build your own platform bed. Seems like a big project but much less expensive than buying a platform bed. « Easy ways to make extra money when your broke.